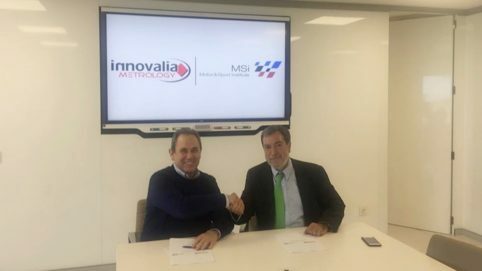 Innovalia Metrology systems and metrology solutions are designed to provide our customers with a guarantee of measurement accuracy for parts and components that are vital to the manufacturing process, and to enable the achievement of higher levels of productivity and efficiency in production processes. Innovalia Metrology is a strategic alliance between Trimek, Datapixel and Unimetrik – three Innovalia Group companies that have joined forces to offer our customers with best-in-class metrology solutions. Innovalia Metrology offers metrology solutions that integrate traditional metrology with the latest technological developments, from laboratories to production lines. Trimek designs, manufactures and supplies components and integrated solutions that enable customers to improve their quality control processes and dimensional metrology capabilities. By continuously investing in R&D, we ensure our customers have access to the most advanced solutions. Unimetrik is an ENAC-accredited laboratory that provides calibration, advanced measurement and metrology engineering services and solutions to industry. Utilising the latest technology and with highly qualified staff, Unimetrik, is able to guarantee maximum service rigour and reliability. Innovalia Metrology is ISO 9001 certified, reflecting our continued pursuit of excellence and the satisfaction of the demands of our customers. Innovalia Metrology is ISO 10012 certified. This certification specifies generic requirements and provides guidance for the management of measurement processes and for metrological confirmation of the measuring equipment used to support and demonstrate compliance with metrology requirements. Utilising the latest technology and with highly qualified staff, Unimetrik, our ENAC-accredited laboratory, is able to guarantee maximum service rigour and reliability.